When I first played Ninja Gaiden I felt like I had just found a suitcase of $20 buried in my backyard. I had been playing shoot and kill games for a while and was very skeptical about any game revolving around the trials and tribulations of a guy who wears tights everywhere he goes. However, from the very first moments as Ryu, the main character, this game oozes coolness. It looks great, playability is flawless and every environment is memorable. For the record, this review is of the ‘Black’ version of Ninja Gaiden, an upgraded version of the first Xbox title. A good game needs to do a couple of things to set it apart from the slew of mediocrity cluttering the half off bins down at the game shop. The most important factor is you should not just feel obligated to finish the game because you bought it, but absolutely crave finishing the game. Difficulty should be balanced with reward to avoid the fun killer we call uncaring. If you quit caring about the game, then why play it? Ninja Gaiden is one of those few titles that absolutely captivates, the kind of game that will have you staying up a few extra hours to see what happens next. The enemies are scary, the music eerie and the lighting is always perfect, it’s no wonder three different versions of the same game have been released, because I can’t imagine this game being improved in any way. For anyone who has not played this game I’ll try and give you an idea about what to expect. As a ninja you can do things that average people might find somewhat difficult, like running up a wall, leaping off the top of the wall with a back-flip followed by several cork-screw twists all while charging your sword for the enemy splitting drop attack. 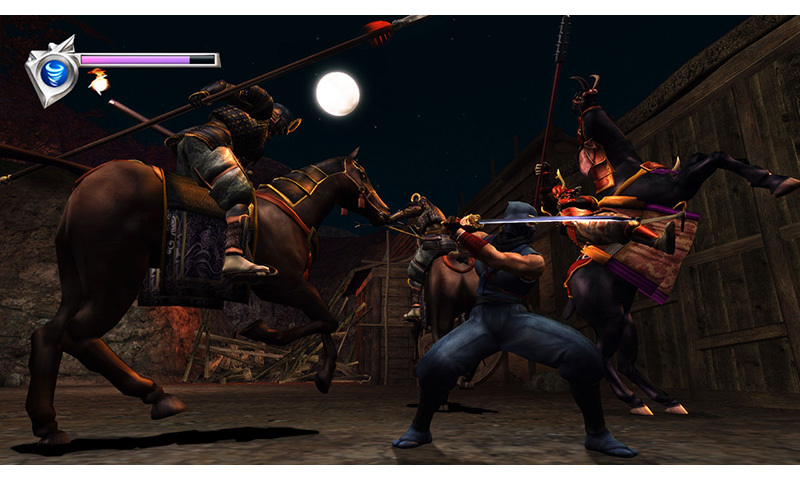 Much more than a mindless button masher, Ninja Gaiden Black offers dozens of possible attacks and almost unlimited combos to keep you challenged. Combine this action with an addicting storyline, epic peripheral challenges and wonderful movement and you’ve got Ninja Gaiden, an absolute Xbox masterpiece.